Is your sales pipeline showing what stage your sales deals are at? Are you making business decisions based on real-time information? Is your sales team working on the right leads, at the right time? These are questions most growing small and medium sized companies face. And if you want to keep succeeding, your sales teams need to shorten the length of their sales cycles. 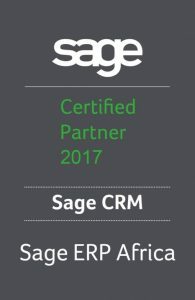 With Sage CRM you can answer these questions and generate a quicker return on investment. Real-time information about customers, including LinkedIn integration, so you can prepare for important sales meetings. Powerful out of the box sales reports that you can use to make more informed business decisions. Accurate forecasts and opportunity management so you can see what stage sales deals are at in your pipeline. Sales opportunity tracking for progressing leads, converting them to opportunities and allocating them to the right reps or teams. Sales dashboards for sales executives and managers who need visibility on sales performance in real-time.